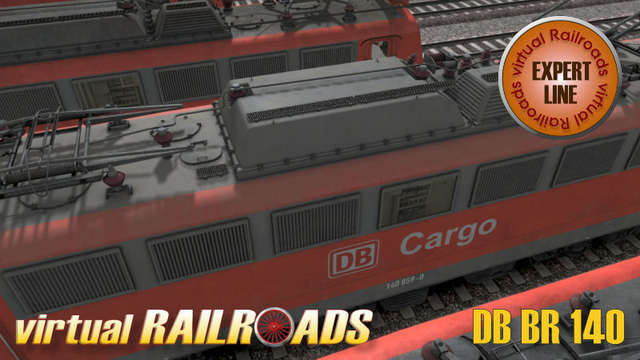 This package contains eight different DB BR140 locomotives in the Traffic Red colour. 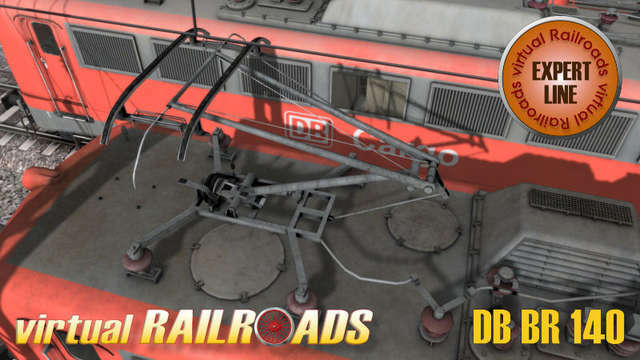 Four have installed the DSA200 pantograph installed and the other four use the standard DBS54 pantograph. 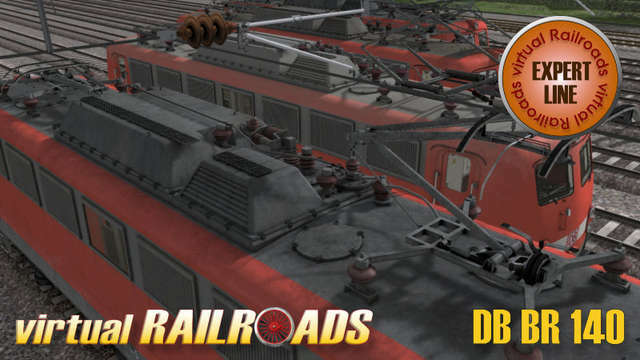 All of these machines have the usual special freight loco buffer installed. 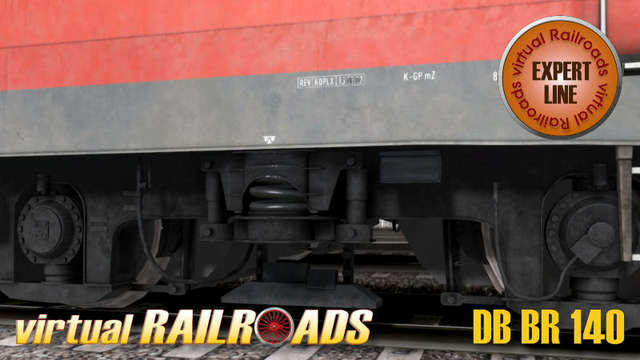 The included freight car, a hopper-type Falns 121, has RandomSkin installed and comes with four different loads and four different skins - two DB Cargo and two standard brown liveries. 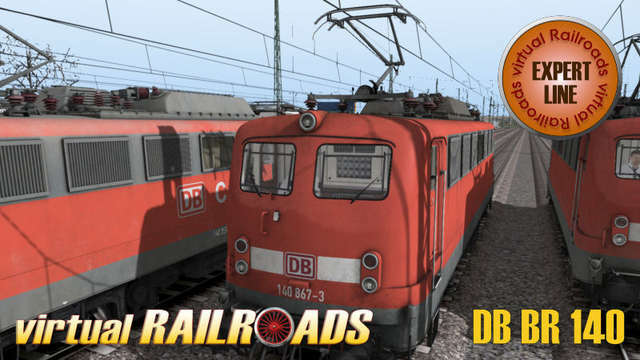 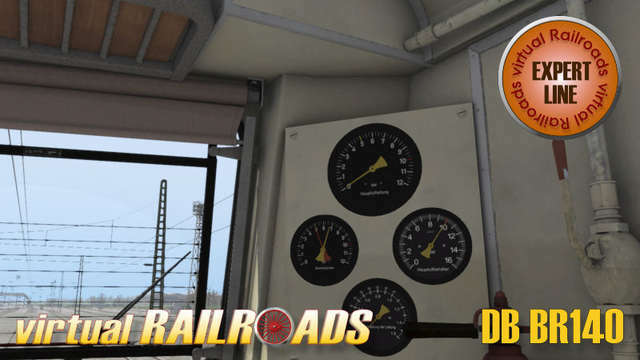 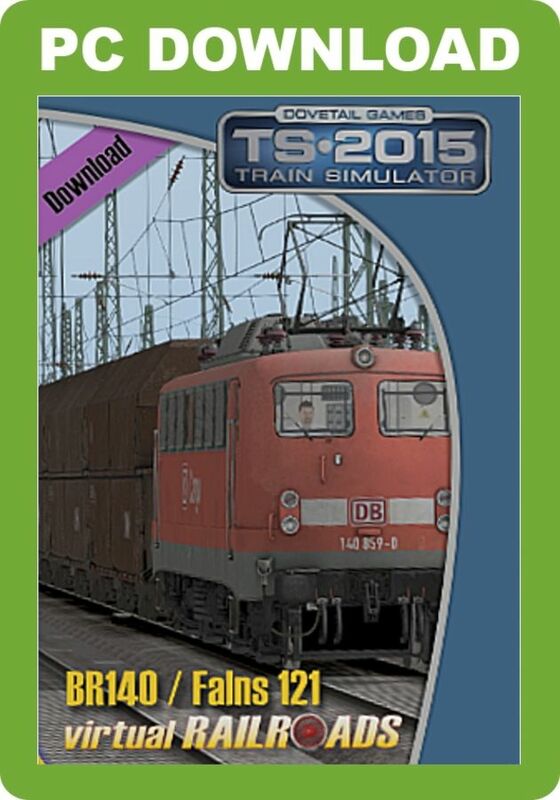 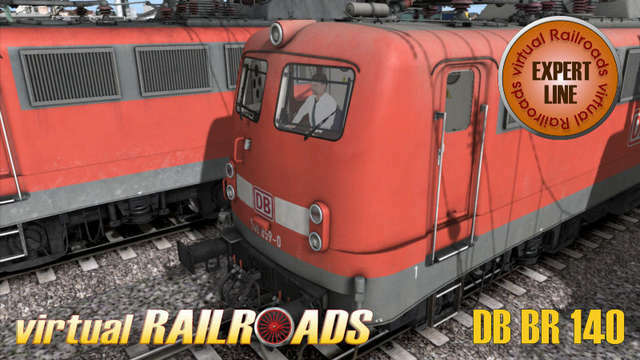 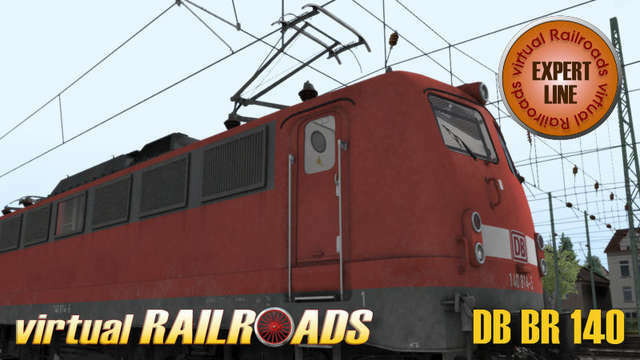 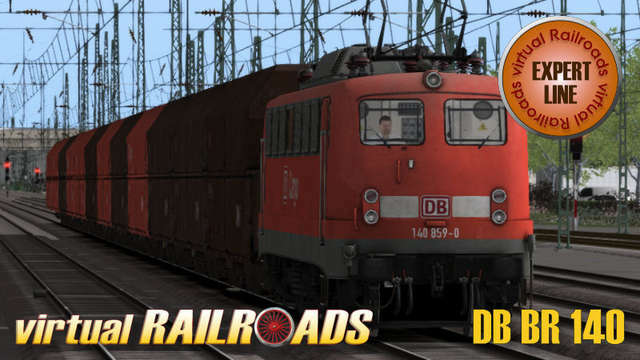 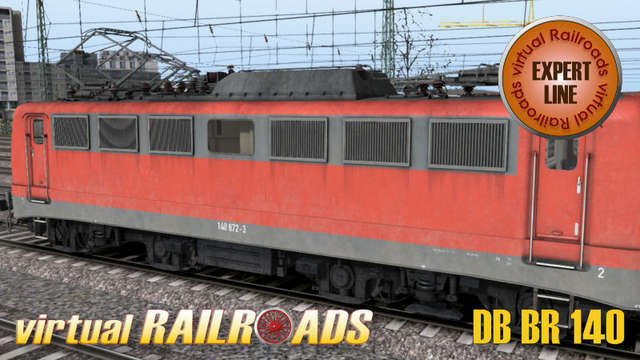 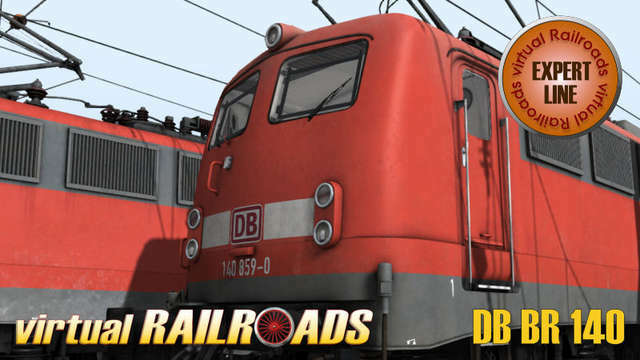 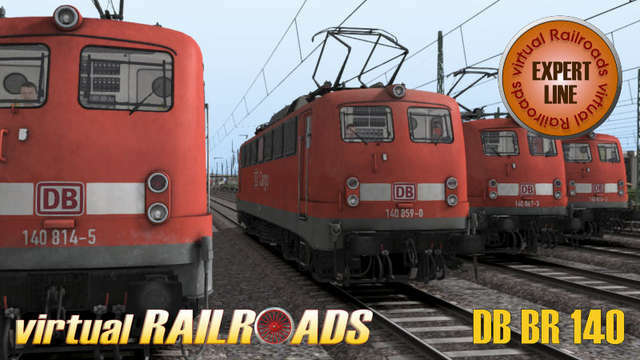 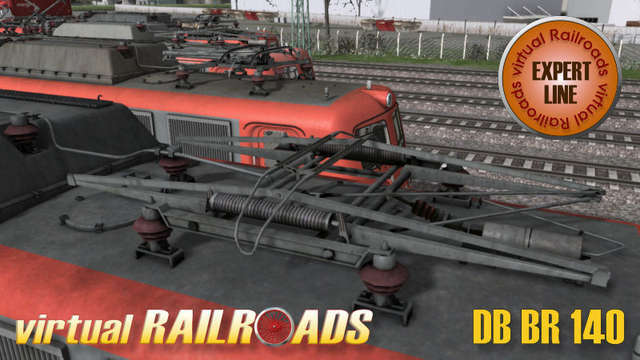 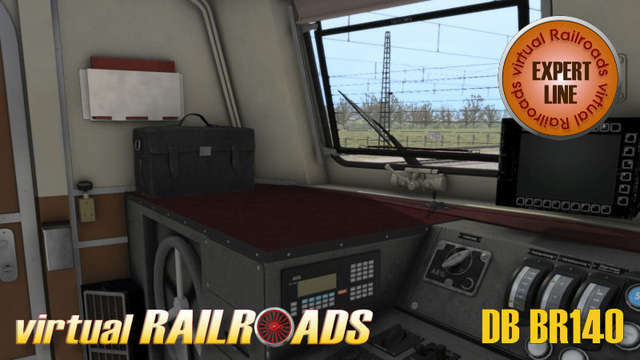 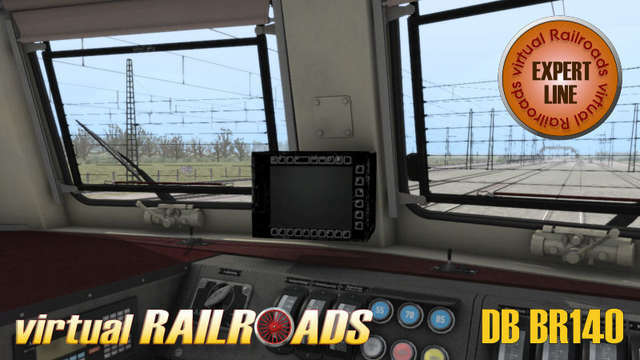 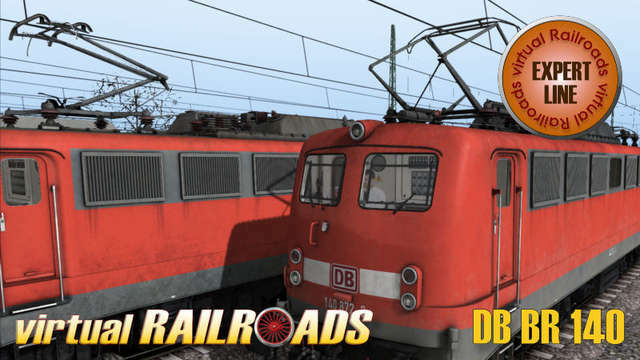 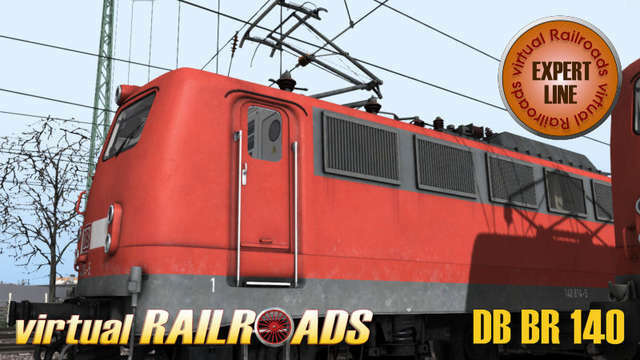 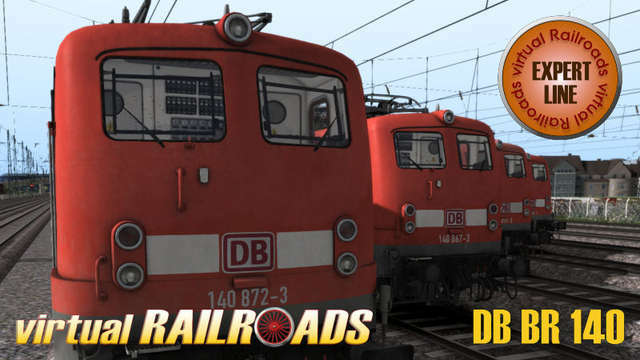 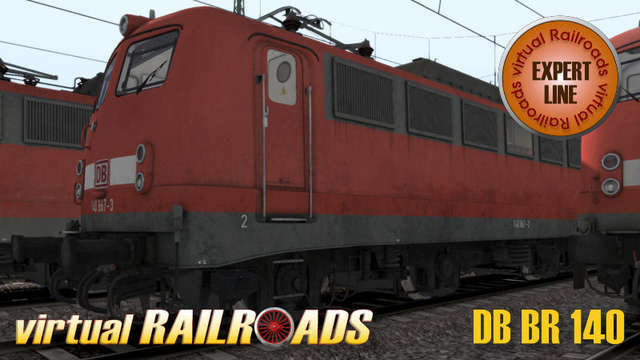 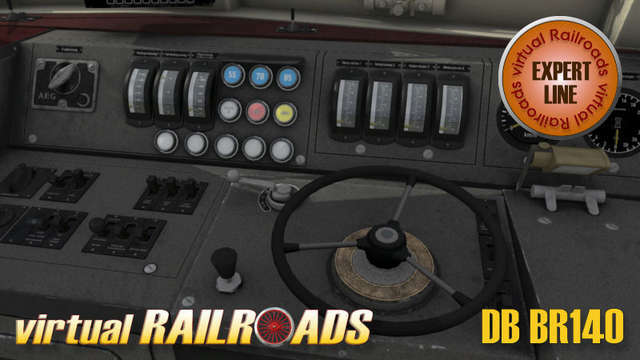 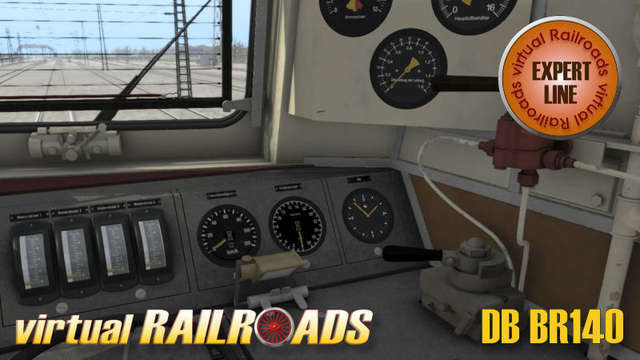 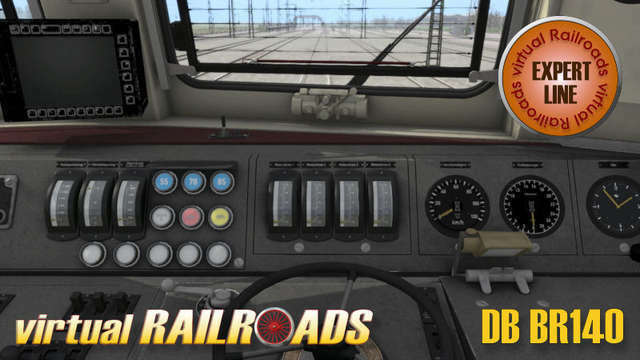 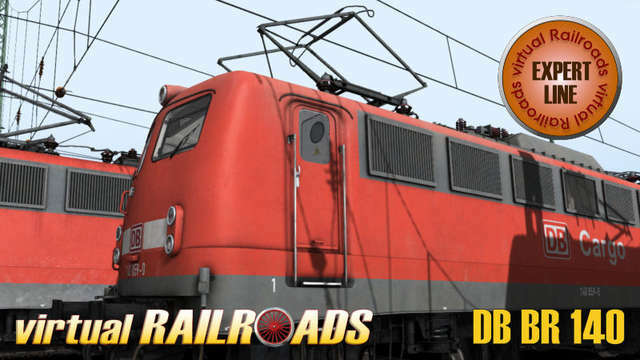 This Virtual Railroads Expert Line package includes eight different Traffic Red DB BR140 locomotives (four with the DSA200 pantograph and four with the standard DBS54) and the Falns 121 hopper-type freight car with four different loads and four different skins. 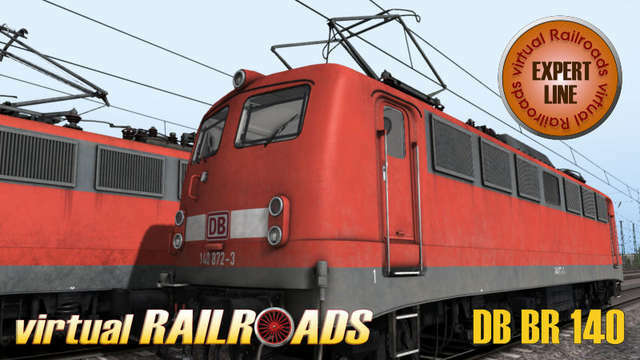 These advanced models display accurate driving characteristics, with automatic and manual start-up, manual pantograph selection, realistic PZB90, brake system with overcharging air pipe pressure, separately switchable wipers with speed control, switchable instrument lights and authentic sounds.